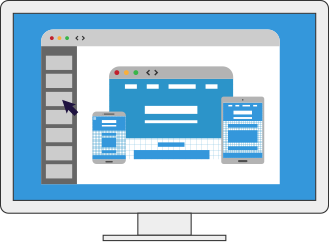 Our innovative website builder, powered by a single management platform, enables online service companies to develop a robust, revenue-generating online presence for their SMB clients. From simple landing pages to complex mobile sites, we provide the tools you need to give your clients exactly what they want. WebsPlanet is an industry pioneer in white label online presence solutions. Over the last decade, we have built a loyal client base of directories, telcos, domain providers, and web hosting companies. Our partners depend on us, and we have earned their trust by committing to strictly white label solutions, meaning that we are always a partner and never a competitor. As industry veterans, we pride ourselves on offering not only the most dynamic and powerful technological platform on the market, but also the expertise and services necessary to make the most of what this platform has to offer. We are committed to executing seamless roll-outs and ensuring that our partners are prepared to use every tool to its fullest extent. Our partners’ successes are our successes. Let us help you succeed today.